The dictionary definition of politics is, “the art or science of influencing people.” One might argue that Project Management is also the art or science of influencing people, albeit for different purposes. So, does this mean that Project Managers are politicians? Perhaps not, but I’m convinced that to be successful, especially in complex project environments, Project Managers must have, and effectively use, political skills. This blog post explores the idea that Project Managers need to be politically aware and competent. 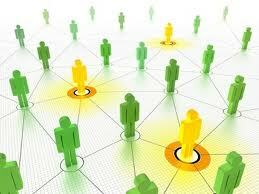 A Project is executed by using a network of connections between people in an organization. Those connections enable the flow of needs, ideas, knowledge, and physical resources from where they exist to deploy them where and when they are needed to deliver products and services to a customer. Most of the network connections are defined by the business organizational policies, procedures and rules. However, all organizations, over time, develop hidden workflow connections that aren’t documented or obvious to an outsider. Members of the organization, not necessarily those with the official roles and responsibilities, have learned over time to collaborate in an unofficial ways that get things done while protecting local organizational interests. This is what forms the political environment of an organization. It’s a bit unsettling to think that businesses run this way, but to one extent or another that is the reality of any social structure, including a business. I think it’s fair to say that if you asked Project Managers how they feel about organizational politics, many, maybe even most, would say that they are all too common, and that they are unfortunate, and wasteful. I’ve heard this view and even more negative characterizations expressed by many Project Managers. Yet, it’s been my experience that whether we like it or not, organizational politics is permanent and unavoidable part of any project management operating environment. I’d even go so far as to say that poor political awareness and competency on the part of the Project Manager could be one of the more common contributing factors for poor project execution and failure. In addition, as the complexity of the project increases, the more pervasive and significant are the project politics and the greater the need for the Project Manager to be engaged in, and competent to deal with politics. Early in my career I was worried by, wary of, and even repulsed by, the notion of being involved in project politics. I thought of it as an unseemly distraction from the real work of the business and that it stole significant time and energy that could be better applied to the real business of project management. I felt that those that took part in organizational politics were not really leading but trying to achieve their objectives through opportunistic deals and by telling people what they wanted to hear. Over the last few decades I’ve learned a lot about project politics, the reality of their presence, and the necessity of being politically aware and competent if you want to be successful as a Project Manager. Today, although I’d say I’m not totally comfortable with the subject, I have accepted the fact that politics is a natural part of the culture of any social network and that a leader must employ strategies that take them in to account and even leverage them to pursue the project objectives. • You don’t have to like being a politician but you must deal with. Get over your fear and loathing or project politics and deal with their reality. You don’t have to like them, but you should acknowledge their presence and power and be open to learning and using them to both protect and advance the interests of your project and your career as a Project Manager. • Study to become politically savvy. Political savvy is a leadership competency. There are many sources of knowledge that you can access to start building your skills. Like most skills, however, competency comes with accumulated experience. • Understand the political landscape. During project initiation, even before you start the project if you can, learn who the project stakeholders (including Customers, Suppliers, Sponsors and Functional Managers) are, what they say they must have, what they would like to have, what gives them pain, what their assumptions, biases are, and what they think of as Key Performance Indicators (KPI’s). This will take some time and require strong social and communication skills. You will discover conflicts, tensions, and hidden agendas, but also secret hopes, unexpressed passion and genuine character during this process that will define the political landscape, at least as it is for the current moment. • Recognize and adapt to political change. Political landscapes change as a function of time, and people and events. You must maintain awareness throughout the project and be prepared to adjust your behaviors and actions to adapt to those changes. • Keep your stakeholders informed and “unsurprised”. You must keep your stakeholders up to date on progress and setbacks using a personalized communications approach and KPI’s that each stakeholder values and trusts. Obviously you will want to standardize the KPI’s and project status reporting methods to the greatest extent possible. However, it’s important for your stakeholders (especially the difficult ones) to feel like they are getting customized attention and information. Stakeholders are seriously unhappy when surprised with bad news. To the greatest extent possible, keep providing an on-going stream of meaningful communication, even if it includes unfavorable news about new problems and risks. They won’t like hearing bad news, but being in on the early stages of its discovery helps them to process it in a less emotional way. This allows the project politician to manage stakeholder expectations to protect the project from the distraction of providing crisis responses to surprised stakeholders. • Develop Your Ability to Take Other Perspectives When Making Decisions. One of the arts of politics is social intelligence. Social Intelligence is the ability to recognize that others have different perspectives on the world and that you can and must adjust your behaviors in such a way that build relationships with those having different perspectives, to make decisions and create approaches that pursue win-win outcomes for everyone. • Use the strength of your character and unwavering business ethics to guide your use of political relationships. The leverage gained through the political relationships that you build within an organization can be very powerful, and like all powers, it can be abused. Make sure that your character and ethics guide your use of this power to benefit the project, the project team and the customer, without doing harm to others. This entry was posted in Best Practices, Better Thinking, Leadership, Personal Development, Program & Knowledge Management. Bookmark the permalink. This is a very timely post given the recent release of the 5th edition of A Guide to the Project Management Body of Knowledge (PMBOK), especially since the major change in the 5th edition is the addition of a tenth knowledge area dedicated to Project Stakeholder Management. The art and science of influencing people [as contrasted commanding and controlling others] seems a better starting point for project managers and managers of people as well as for others interested in cooperating with others to accomplish something none could accomplish on his or her own. A project manager who relies on the first source will likely have different results from one who relies on the second and third. Applying the second and third has a better chance of eliciting better performance from people, better relationships with people, and more engaged team members. The use of power of authority comes into play in making changes to processes, practices, methods, equipment, materials, etc. aimed at bringing improvement by managing variation better. This is an excellent piece. I wish I saw and read this piece three years ago. I manage a very politically sensitive project which has 13 development partners providing the funding. The government is equally sensitive but very receptive to ideas that fit within its plans. The past one year has been a huge test of my capability to navigate all the interests – government, implementing partners, donors and my own institution. Even though this project was developed jointly, there is no common agreement on results and performance. Changes in the political landscape has not help matters either. Again, I thank you for sharing this piece.